What in the world you might be asking right about now would Marty choose this particular Proverb? You might say, I was looking for something with a simple and clear encouragement today. Well, before you ‘change channels’ and ‘speed read’ through thus blog, I encourage you take the time and read it……prayerfully, ask God to give you a clear picture for today. Okay than, what the writer is saying is directly related to the Fig tree. 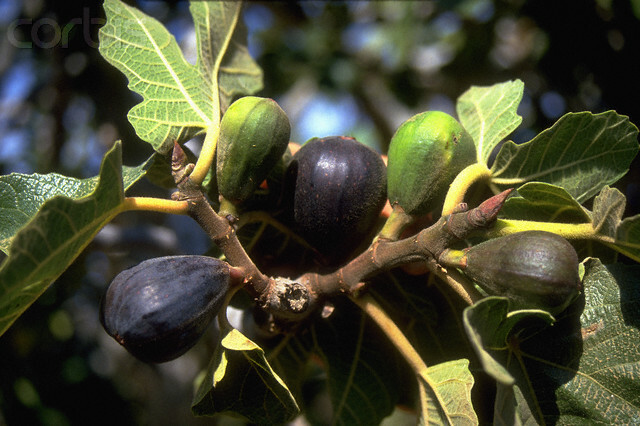 The Fig tree has always been very symbolic in the Scriptures. It is viewed as a symbol of prosperity and security. (Judges 9:11). 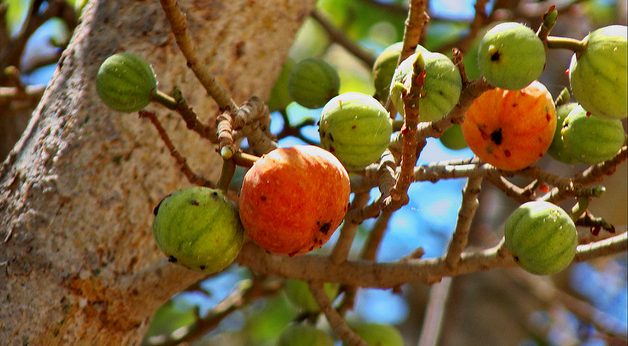 It was a delicious sweet fruit ti be enjoyed by all who would sit under its shady limbs. Here in this passage the instruction is that everyone or anyone who tends to the fig tree has a blessing coming back to them. Anyone that takes care of a fig tree, whether his own or his neighbor’s, who cultivates it, prunes it, waters it, when it brings forth fruit, ripe and ready to eat, he may eat of it and enjoy the blessings God has given us for our labors. I remember years ago, when I lived in the Bay Area of a friend of mine who worked at See’s Chocolate Candy Company in South San Francisco on El Camino Real. He would tell me of the policy of See’s Company that allows their employees to eat all the chocolate they wanted. The thought of all that chocolate passing before my eyes on that assembly line would seem to me, to be like torture, but not to him. If he wanted a piece, he’d simply reach out and grab one. It was their benefit for being an employee. There’s also an old motto from an East Coast Ice Cream Company called Blue Belle where their ads would say: “We eat all we can and sell the rest!” Guess what? I looked it up and it’s a true story! Blue Belle employees are allowed to eat all the ice cream they want. Well guess what I’m going to be eating after this blog? But as amazing as these descriptions are, the Bible has a similar perspective in regards to special benefits. The literal reference was to an Old Testament law that forbad the muzzling of the ox that treads the corn. Some people would put a muzzle over the mouth of the ox to prevent him from eating the crop, but the Lord ensured that the ox would be able to have all the See’s chocolate or Blue Bell ice cream he needed! Maybe today you’re reading this, and alongside your work related tasks, have been wondering or even grumbling, how is all this working ever going to pan out? I have so much money coming in , and most times, more money going out. I remembered the look on Patty’s face the other day when she received this letter from an old employer she worked for many years. All those years of toil, and all she benefited from was spent, and gone. But, inside of this letter was an acknowledgement that it could be possible she is entitled to securing a ‘Pension Plan’ that was long hidden away. God has a way of not only providing for our needs, but rewarding us for our labor and toil! Today’s “nugget” tells of the benefit of being the dresser of the fig tree. The one hwo is out there getting his fingers in the dirt, pruning, watering daily, so that the tree will bear much fruit and produce a reward in return. The Bible teaches us that person will eat of its fruit. We need to be reminded of who we serve, what He possesses and the benefits of being not just His servants, but His children. We have an amazing inheritance. I gotta confess to you that this is a careful reminder to me that all God is wanting from me is to take what He’s given, whatever the resource, and be faithful in attending to it, feeding, watering, pruning. It all belongs to Him. The medical bills since January 16 have been just staggering. But God has done it. My hospital bill for the surgery alone was almost 70,000.00. My Insurance covered about 12,000.00 of it, BUT GOD, paid the rest in full! There are still very expensive medications to be had as I enter my 5th round out of 8 for the chemotherapy, but God has been faithful in proving Himself that He owns everything, and as a child of God, He has not failed once. He is more than mindful what you need is, and when you will need it. It may be that the season for the ripening of the fruit is not yet had. But in God’s timing, you will receive the benefits of your careful and precise work unto Him. In the meantime, enjoy what He gives you, be diligent in your labor unto Him. He is a Rewarder of those who wait on Him. Hi Marty, how are you doing? After 4th Chimo..patty shared, you are having difficult time. We are praying 4 u. Today I pray when u go whatever u face plz go with 1Sam.17:45b just like David when he faced the philistine. Hey my bro. Thx4 the music video…always ministering 2 me. well, yes it’s been rough, but God has promised me there will be an end to all this.